Jacob woke up to see his brain sitting on the counter in a little metal box, and that was only the start of his problems. What was worse lay down below. 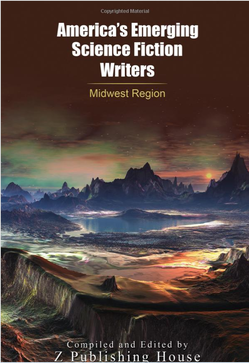 Read "At the Core" in this year's edition of "America's Emerging Science Fiction Writers." Available now in paperback. Mister Smiley's Happy World Theme Park and Fun Land is open for business! And Mister Smiley is here himself, ready to welcome you in and make YOU happy! And once you're in, you can never leave. He's going to make you smile forever, and ever, and ever! Produced by Phil Michalski and brought to life with the voice talents of Mike DelGaudio, Corinne Sanders, and David Ault. Hear Mister Smiley and other chilling tales on Season 11 Episode 15 of the NoSleep Podcast. ﻿​A victim of the Writer's Arena challenge #84 Airplanes. The Plane rotting in the woods was Alice's place to hide. Little did she know it was the tool of destruction and salvation of all she had left in life. Andrus Ovega is a fugitive from Earth and AWOL from the space army of the International Space eXploration Commission. Wanted for the murder of his parents and on the run, he is forced to assumes the role of a notorious mercenary "Vulpine One." But as he hunts for hope for the future, his past chases him through the cosmos. He'll need all the weaponry, cunning and help from the artificial intelligence "Foxtrot" to survive the criminal underground, corrupt government agencies, evil secret societies and space mutated monsters as he searches for revenge and clues to the origins of the mysterious order of Vulpine. Strange patterns appear in an aging alcoholic's dried up pool. Are they hallucinations of his withering mind, or something much more sinister?